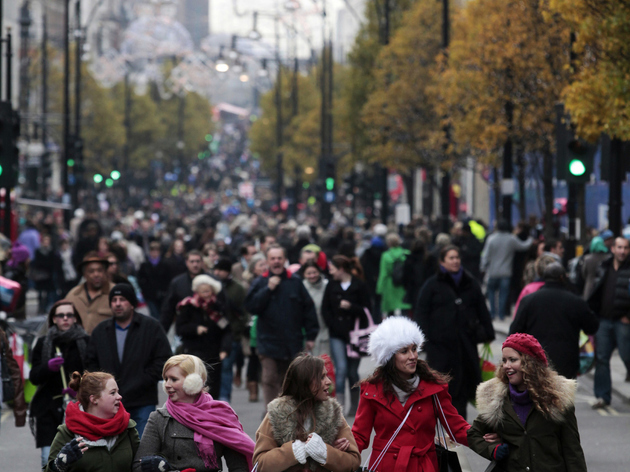 Like it or not, Oxford Street shops make up the main artery of London shopping. 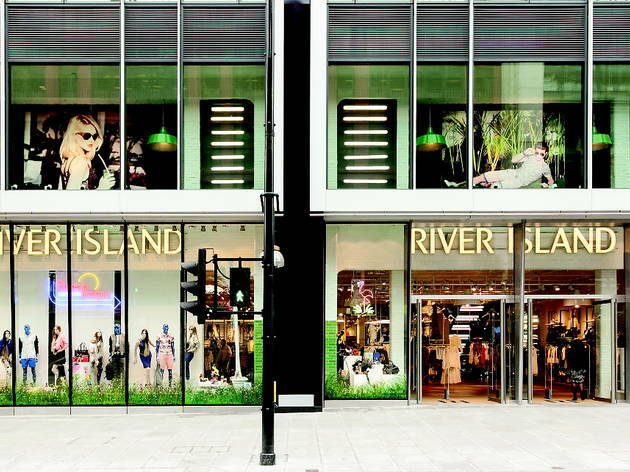 It’s not the place to head for independent boutiques, as only massive brands can afford the rents attached to Oxford Street premises, but it is unrivalled in its offering of cheap high street shopping and jumbo department stores. 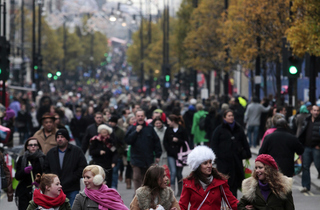 Here are the best of a bunch of Oxford Street shops. How can you not love a shop that has its own glittering Wonder Room? 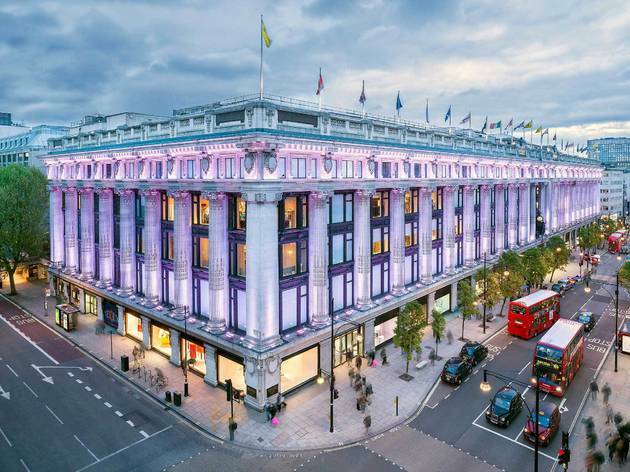 One of Time Out’s favourite department stores, Selfridges never sits on its laurels when it comes to finding new ways to delight. 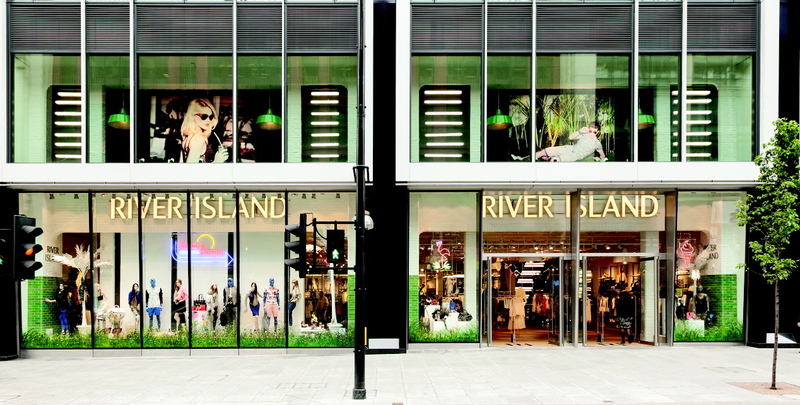 Its six floors of cutting-edge beauty, fashion (including the excellent new Body Studio), food and drink – plus an unrelenting stream of brilliant in-store initiatives, collabs and events, make it wonderful indeed. 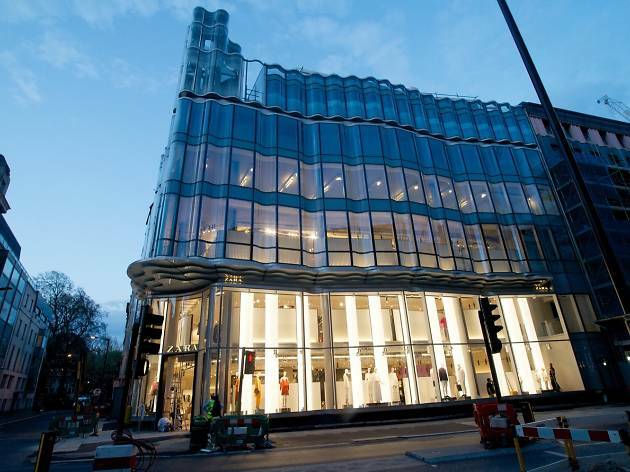 Zara’s striking concrete and curved glass flagship store looks like it landed on Oxford Street from somewhere in a distant, glamorous future – apt, as this brand continues to keep a keen eye on the trends we’ll be sporting in seasons to come. The design team really don’t hang about, either – the speed with which they take concepts from catwalk to high street is quite astonishing. What’s more, it’s all still as fairly priced as ever. Uniqlo’s flagship is all the better for its recent spruce-up, which has seen it double in size and get some ace new features – including a roof terrace for special events (check out that view), and the one-of-a-kind Uniqlo WearHouse. 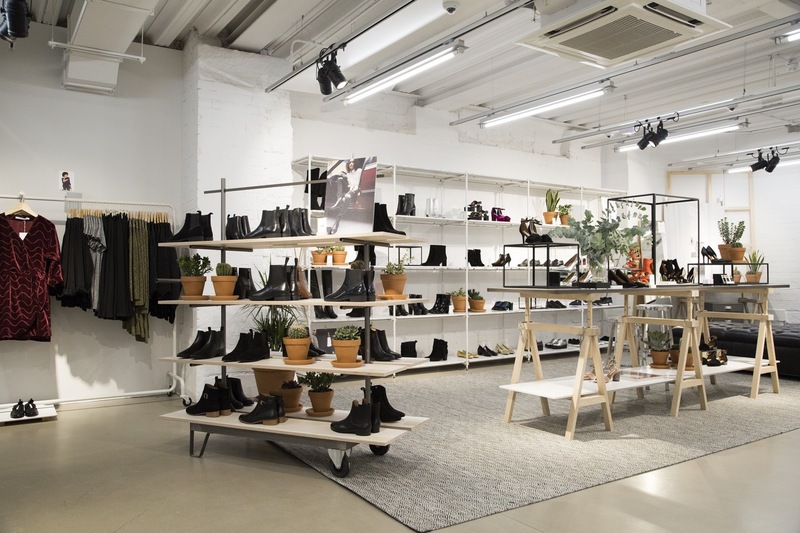 The latter is an industrial-feeling split-level space – complete with huge metal staircase and ticker tape on the walls – that’s dedicated to showcasing the best of the brand’s LifeWear range alongside a neat edit of lifestyle products. 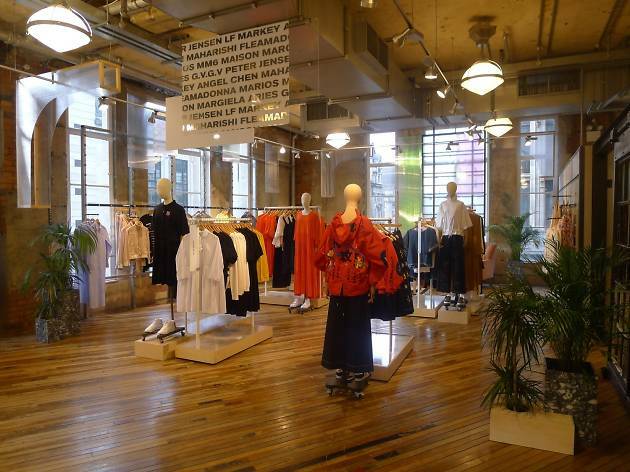 Stories’ brand new store brings a welcome edge to Oxford Street’s high-street shopping scene. 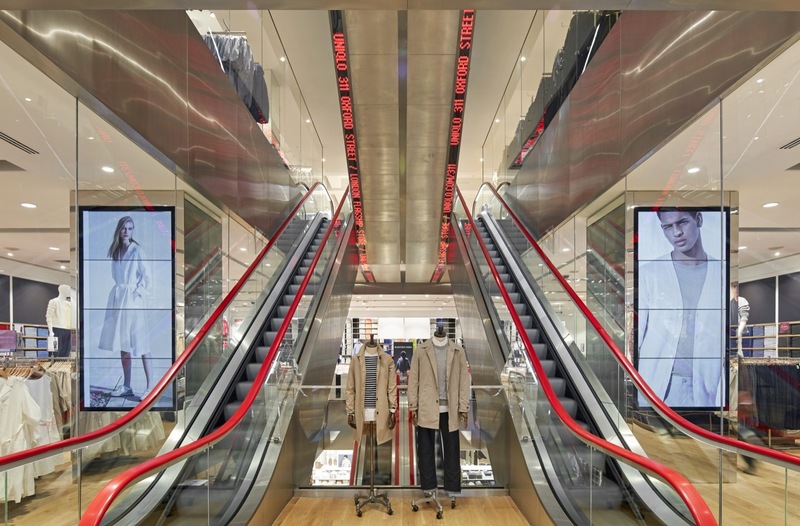 Part of the H&M family, it’s known for its elegant, fashion-forward clobber and boldness in experimenting with interesting cuts and fabrics. 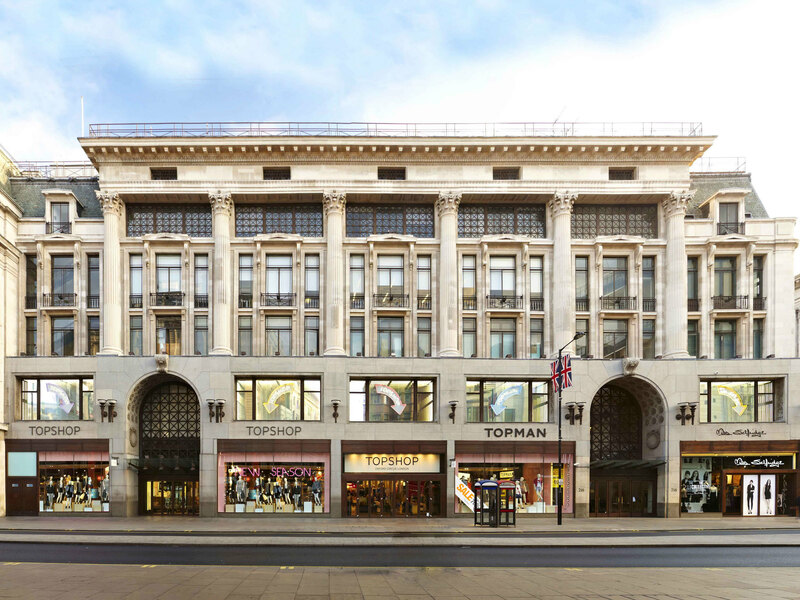 Conveniently located just across the road from Selfridges, the new pad features three floors of ready-to-wear (including collabs), beauty, jewellery, accessories, bags and shoes, plus the covetable beauty and cosmetics range. 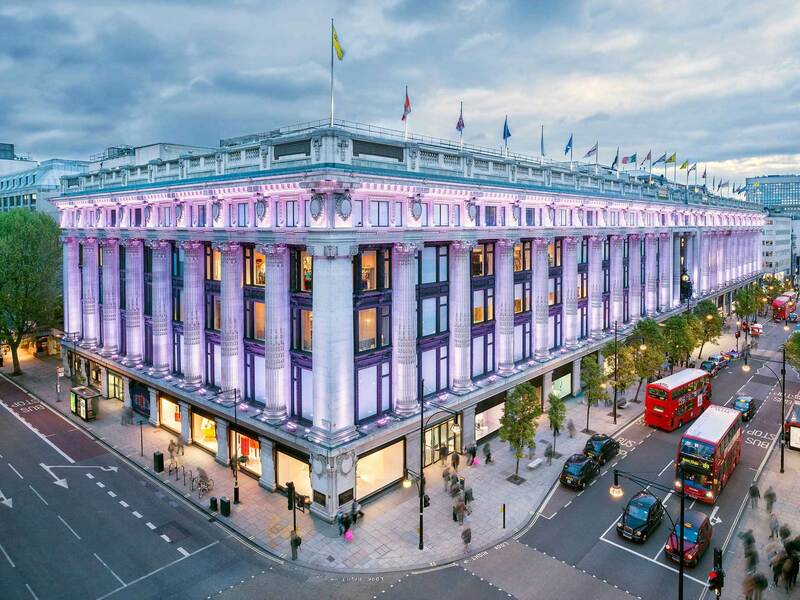 Still the biggest and best-stocked Toppers in the land (and actually, the world), the Oxford Street flagship of this homegrown retailer does require some stamina, with five floors and 90,000 square feet to explore. You’ll find own brands, concessions and vintage all under one roof, as well as plenty of exclusives, like Beyoncé’s Ivy Park range. Topshop recently became home to a Cheeky nail salon, which joins the existing in-store beauty offering of Hershesons Blow Dry Bar, Bleach London and Blink Brow Bar. A sleeker, calmer proposition than the stonking great store on the corner of Regent Street, this H&M is also the only one in the area to stock H&M Home lifestyle products – think cute cushions, curtains, and loads more. 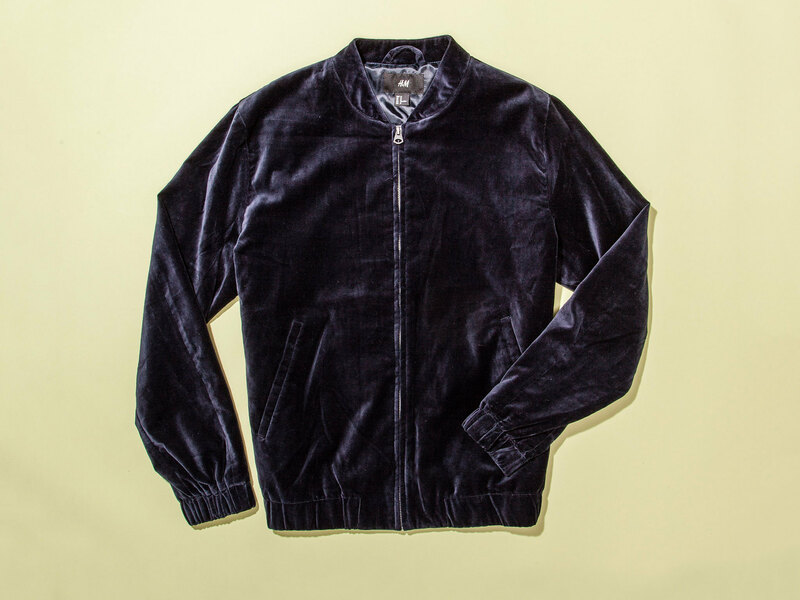 This is also a great place to pick up (or rather, elbow other shoppers out of the way to grab) H&M’s always-impressive collaborations with designers that have recently included Kenzo, Alexander Wang and Balmain. 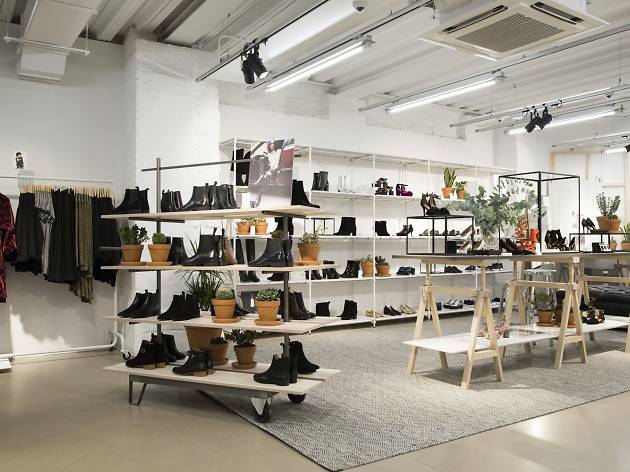 A concrete-clad haven for hipsters on a budget, UO’s location near Marble Arch gets points from us for being far more spacious, and thus far less hectic than the Oxford Circus shop. As well as browsing exclusive homewares, fashion and beauty, you can tend to your record collection at the in-store vinyl shop. 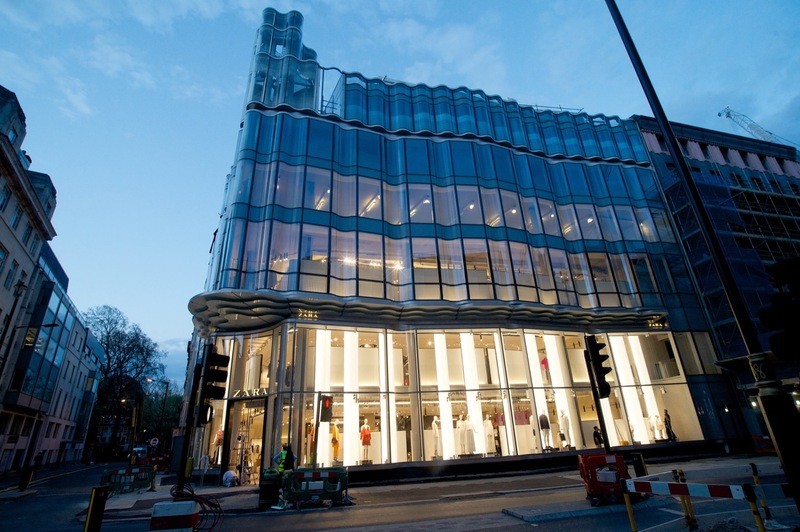 If you’re the nosey type, glass walls let you see what’s happening behind the scenes. 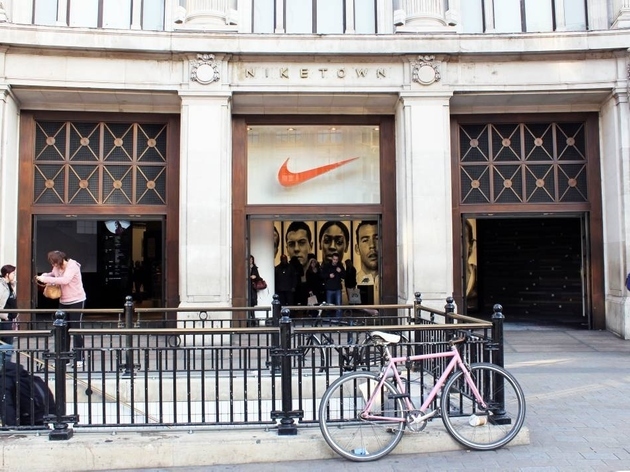 The gigantic Nike metropolis on the corner of Oxford Street is home to the brand’s largest footwear and sportswear offering in Europe (all, handily, organised by activity). 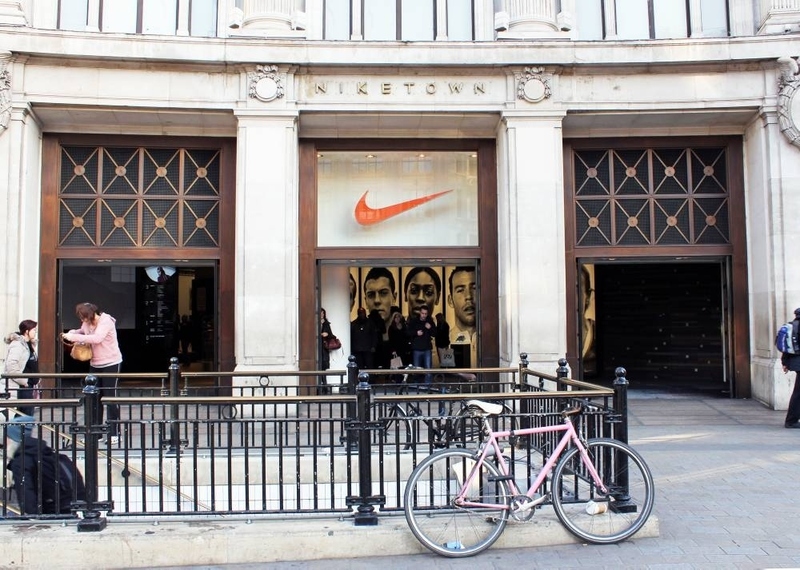 It’s also frequently home to exclusive product launches – mainly of the trainer variety. Feeling creative? Have a go at creating your own kicks in the ID space, which lets you customise a pair in considerable, high-tech detail. 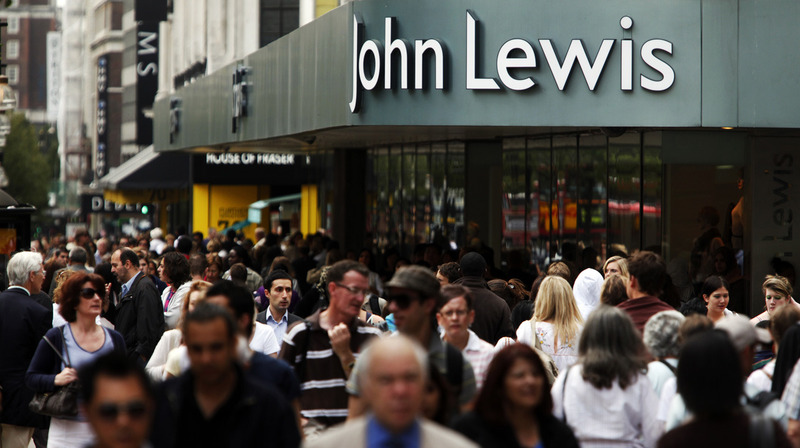 This great British department store is a jolly pleasant place to pick up your essentials. 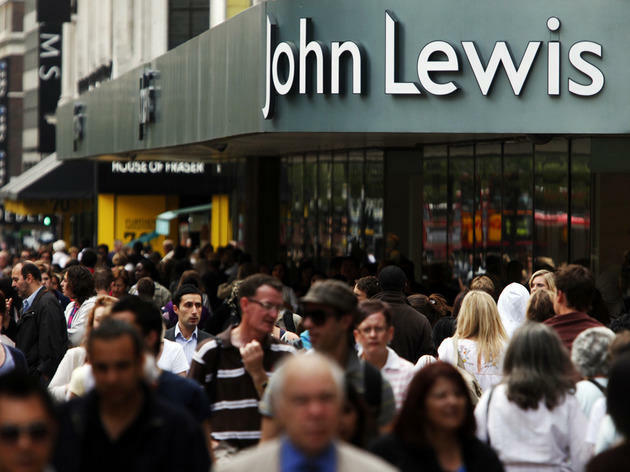 With in-the-know staff, a product range that’d allow you to get your whole home and wardrobe seen to in one fell swoop, and a fuss-free returns service, it’s shopping at its easiest and most civilised. 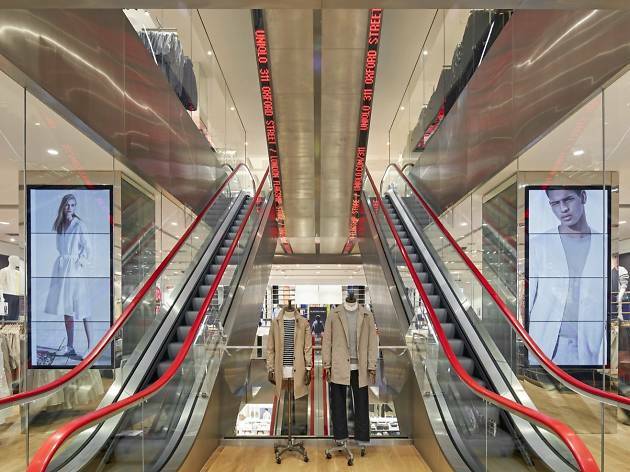 The Oxford Street store has a number of perks you won’t find at other London John Lewis locations – including a new made-to-measure men’s suiting service and a Clarins BeautyBAR offering express pampering treatments. This place has a more upmarket feel than some of RI’s other stores – not least because it has the luxury of over 19,000 square feet of space, plus fancy brass fittings and sofas. It’s home to RI’s trademark cheap and cheerful teenwear, basics (we swear by the leggings) and fun, statement shoes, plus a dedicated menswear floor. If you’re stuck for inspiration, the in-house Style Studio offers a decent complimentary styling service – made all the more enjoyable by a brilliantly kitschy bar (gold pineapples, ahoy!) created by interior-design queen The Pink House.